King John has lost the English dukedoms of Normandy and Brittany, and the counties of Aquitaine, Poitou, and Anjou, to Philip of France. 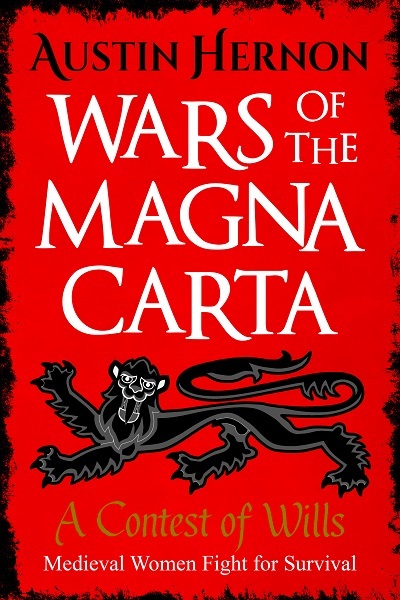 He has been excommunicated by Pope Innocent III and though he was been persuaded into signing the Magna Carta by his nobles, he has now reneged on his promises. The people are in uproar and the English barons have contacted the French Prince Louis to cross over the Channel and take charge of a new civil war in England. Dover Castle is soon under siege, and the south of England is in revolt. Attention turns towards the Midlands, where, sitting proud on its ridge, stands the mighty citadel of Lincoln. Lincoln and its nearby supporting fortress of Laxton are in the hands of two redoubtable women: Nicholaa of Lincoln, and Matilda of Laxton, both hereditary Keepers of the King’s Forest. 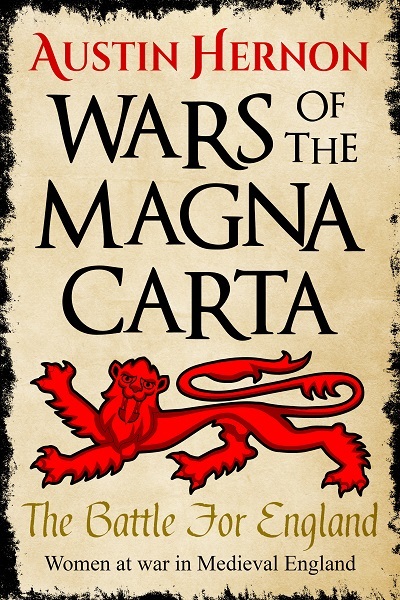 The Battle For England is the first book in the Wars of the Magna Carta series, a thrilling fictionalised saga of medieval England, by Austin Hernon.